A visit to a castle or palace is often a major highlight for Eastern Europe travelers. The many castles that dot the landscape have become ruins, hotels, or museums, and some remain in use by governments. They add romance and historical significance to tours through Eastern Europe. Some castles are at the heart of historic centers, while others might require you to take a trek into the countryside. Some are still owned by the aristocratic families that inherited them, while others have been turned into museums that teach about life in the Middle Ages when most of them were built. Take a quick look at the castles that you can visit from Poland to Hungary and Romania to the Czech Republic. Poland's landscape is dotted with castle museums, castle ruins, and castle hotels. Visit any of Poland's major cities and you can find castles, for example, the Warsaw Barbican or the Krakow Barbican, both rounded castles built to withstand cannon fodder. Some castles have served as important administrative centers or royal residences. Others are now museums, like the ruins of the 16th-century Janowiec Castle Museum, located in the countryside south of Warsaw. Hungary has many magnificent castles. Vajdahunyad Castle and Buda Castle are located in Budapest and are significant landmarks in Hungary's capital city. Venturing beyond Budapest will reward any castle connoisseur. The Castle of Eger, now a museum, is surrounded by wineries and shops. The medieval Castle of Diosgyor, located in Miskolc, the largest town in northeastern Hungary, now serves as a public hub for concerts, theatrical performances, and events. Romania's peaceful countryside is the perfect setting for majestic and mysterious castles, connected with Romania's royalty of old. The castles of Romania have a macabre quality, too, connected with Vlad the Impaler, known more popularly by his last name, Dracula. The region of Transylvania boasts some impressive examples of Dracula lore and legend. Many Croatian castles have been renovated and refurbished by later owners. Veliki Tabor is one such recently renovated castle in Zagorje, a region north of Zagreb. Veliki Tabor reopened to the public in 2011 and features the fortress's eclectic mix of architectural styles, including late-Gothic, Renaissance, and Baroque. Varazdin's Stari Grad is one of northeastern Croatia's most popular tourist attractions. The well-preserved castle houses the town's historical museum, which displays furniture, weapons, and paintings. Today, Stari Grad castle enjoys the status as a UNESCO protected site. Bratislava Castle is Slovakia's most recognizable castle, but Slovakia has many other beautiful and important castles, like Spis Castle and Bojnice Castle. Spis Castle was built in the 12th century. The castle complex was destroyed by fire in 1780 and the ruins have never been restored to its original appearance. It is one of the biggest castles in Europe and has served as the movie backdrop for Dragonheart, The Lion in Winter, or The Last Legion. Bojnice Castle, another 12th-century construction, is one of Slovakia's most visited sites for its fairytale-like appearance and underground cave system. Lithuania's castle complex of three castles at Trakai make an interesting excursion for exploration from the capital city, Vilnius, 17 miles away. Lithuania's medieval rulers built these castles when the area was significant for administrative and defense purposes. The surrounding area is a recreational area for hikers and ​​water sports lovers. Protected as a UNESCO World Heritage Site, Albania's "Museum City," Gjirokastra, is home to the 12th century Gjirokastra Citadel, known as the "Silver Fortress." It possesses five towers and houses, the new Gjirokastra Museum, a clock tower, a church, a cistern, the stage of the National Folk Festival, and many other points of interest. The word "kremlin" means "fortress within a city." The Moscow Kremlin, surrounded by fortification walls, contains many palaces that were residences of Russia's royal leaders. The Great Kremlin Palace and the Terem Palace are two palaces within its walls. Included within the Kremlin are the Armoury Chamber, cathedrals, and Red Square. 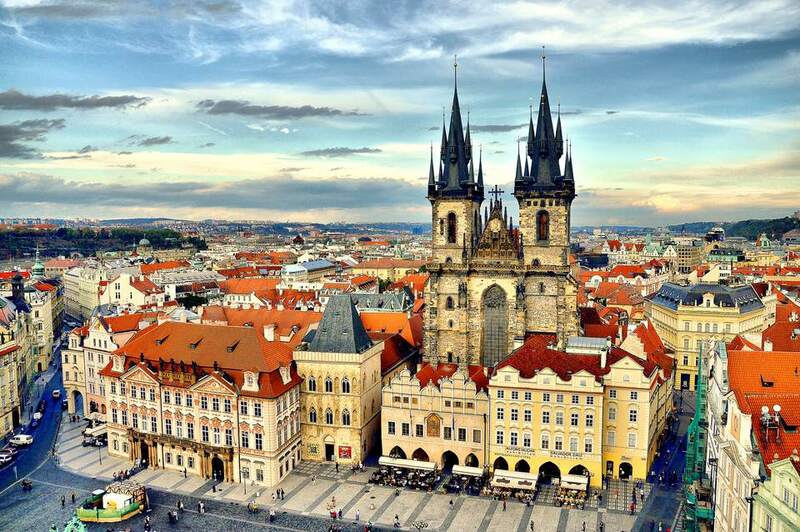 Castles abound in the Czech Republic—both in the capital city of Prague and in the exquisite Czech countryside. Visit Karlstejn Castle just outside of Prague to learn more about how the crown jewels were protected by the Bohemian kings. Spend a romantic, luxurious weekend at one of Eastern Europe's castle hotels. These hotels offer visitors the royal treatment. Most boast spas, horseback riding, and suites decorated with authentic antiques or high-quality period replicas, and may offer holiday or honeymoon packages. One example, Reszel Castle in Northern Poland, dates back to the 14th century. Currently, a modern hotel, the property has a storied history. In 1780, a part of the castle was adapted for a prison. In 1806, a fire devastated the medieval castle. The castle was reconstructed in 1822, then housed a Lutheran church. During the interwar period, the castle housed a museum.